Originally from Baltimore, I earned my BFA at the Maryland Institute College of Art, and I am currently located in San Buenaventura, Southern California. I work in several different types of media, often at the same time. However I am currently mostly focused on oil painting and mosaic work. 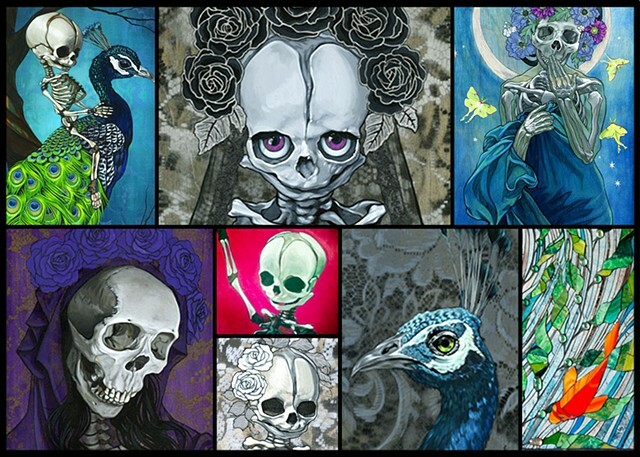 I am obsessed with a variety of themes: anatomy, religious iconography, fetuses, dollhouses, decay, and modern ritual.